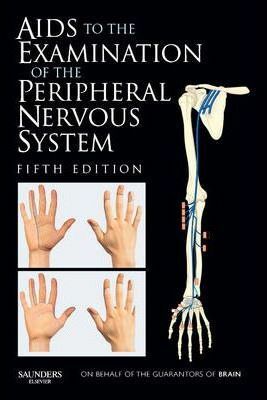 Published in its original form in 1943 and now in its fifth edition, this is the standard photographic guide to the examination of patients with lesions of the peripheral nerves and nerve roots. It is illustrated with exceptionally clear photographs accompanied by appropriate anatomical diagrams. It is ideal both as an introduction to the subject for the newcomer, but also as an aid for the experienced. Suitable for medical students, physiotherapists, neurologists and doctors of all kinds. Spinal accessory nerve. Brachial plexus. Musculocutaneous nerve. Axillary nerve. Radial nerve. Median nerve. Ulnar nerve. Lumbosacral plexus. Nerves of the lower limb. Dermatomes. Nerves and root supply of muscles. Commonly tested movements. Michael O'Brien arbeitet freiberuflich für Werbeagenturen, Zeitungen, Künstler wie Tom Waits und Magazine wie National Geographic, die New York Times, LIFE und die Vanity Fair. In seiner Karriere fotografierte er zahlreiche Persönlichkeiten darunter Georges W. Bush, Steven Spielberg und LeBron James. Seine Fotografien werden in Museen ausgestellt, er hat bereits zwei Bildbände veröffentlicht.